20th Annual Update on Pediatric and Congenital Cardiovascular Disease: Care at the Cutting Edge in a Cost-conscious World. At this informative and thought-provoking event, we will share cost-conscious strategies for incorporating the latest breakthroughs in medicine and biology into our patients’ care and discuss the fundamentals of pediatric and congenital cardiovascular care. As always, it will be an exciting few days, filled with opportunities to connect with colleagues from a variety of disciplines — and have the kinds of discussions that make working in our field so intellectually challenging, invigorating and fun. A comprehensive post-graduate course for pediatric cardiologists, intensivists, surgeons, nurses, neonatologists, anesthesiologists, ACHD specialists, sonographers, perfusionists, and all those involved in the care of patients with pediatric and congenital cardiovascular disease. The registration fee for the five-day conference is $950 for physicians and $595 for other healthcare professionals and physicians-in-training. The registration fee includes tuition, online presentations, daily continental breakfast and lunch. Children’s Hospital of Philadelphia is accredited by the Accreditation Council for Continuing Medical Education (ACCME) to provide continuing medical education for physicians. Children’s Hospital of Philadelphia designates this live activity for a maximum of 38.0 AMA PRA Category 1 Credits™. Physicians should only claim credit commensurate with the extent of their participation in the activity. Wednesday, Feb. 22: Optional Preconference Seminars – 8 a.m. to 3:30 p.m. This activity has been submitted to the PA State Nurses Association for approval to award contact hours. The PA State Nurses Association is accredited as an approver of continuing nursing education by the American Nurses Credentialing Center’s Commission on Accreditation. An application for CEU Category 1 hours will be submitted. A block of rooms has been reserved at Disney’s Yacht & Beach Club Resorts. The group rate is $249 single or double occupancy plus a 12.5 percent room tax. This rate includes Internet access in guest rooms and Conference Center. 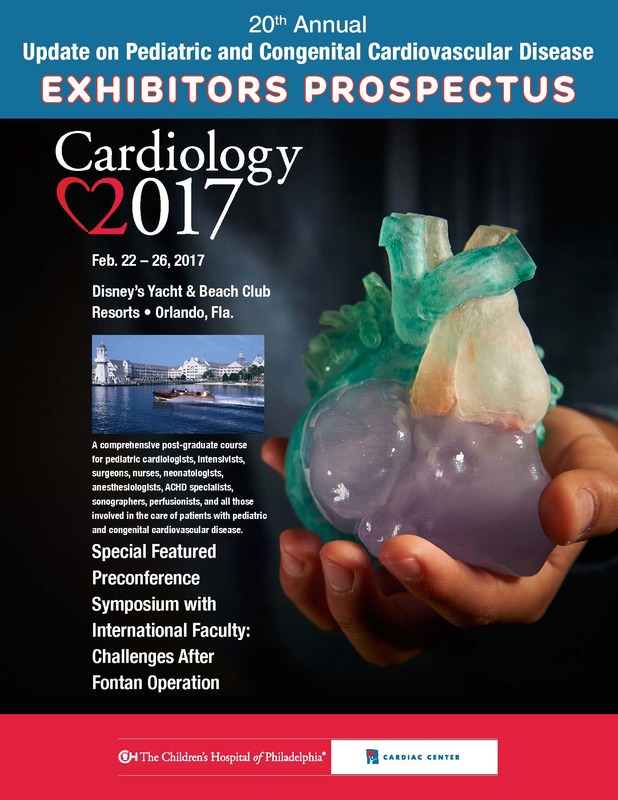 Participants are required to make their own hotel reservations by calling the hotel directly at 407-939-4686 or online at resweb.passkey.com/go/CHOPPediatricCardiology2017. For the reduced conference rate, mention the name of the conference when making your reservation. The conference rate covers Feb. 20 – Feb. 29, 2017, and will be available only until Wednesday, Feb. 1, 2017. Reservations made after Feb. 1 will be accepted based on space and rate availability.